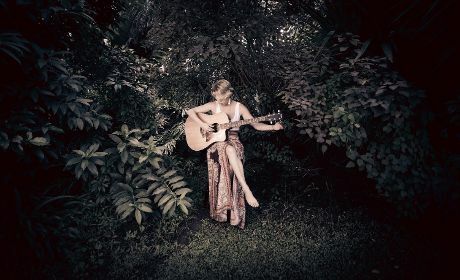 I was introduced to Amy & The Calamities via the jam-packed talent that I recently reviewed on Spiritual Live No.2 Album. Amy had a track on it "Now That I Know This". 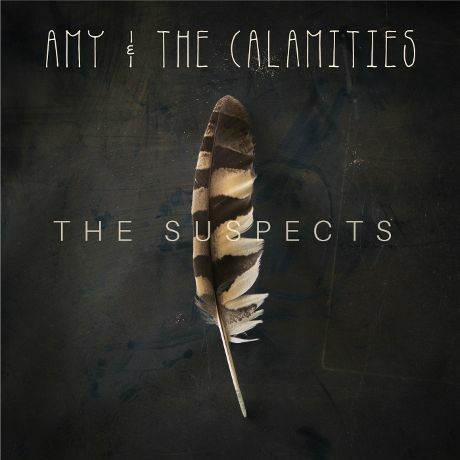 She is also releasing her own 6 track E.P this week titled: "The Suspects" I'd assumed Amy & The Calamities were a band? If I'd checked out Youtube first I would've had my answer? DOH!.....it was time to find out more. She is, in fact, Amy Wawn a solo singer/songwriter/ musician hailing from Zimbabwe, the added "Calamities" came about after a jokey conversation with her best friend who coined the phrase after an open mic night in Cape Town, about the comedic mishaps on stage. It's also about the coming together of friends and spontaneous performances that give way to mistakes, As Amy believes, all part of being human, and part of learning and growing. Now that's sorted it was time for me to check out the E.P. and first track Bless, straight away I'm immersed in a bluesy folk vibe and my foot starts tapping. A sucker for strings I fall in love with the sound of a violin that teases as it dances around Amys impressive vocals & guitar skills. Turns out to be recently nominated Instrumentalist of the year 2018 session musician Georgina Leach, and if you know class, you can hear why? It's an intimate album, the kind you want to listen to alone, I am, and as I fall back onto the bed, arms behind my head for second track Dream, a song that takes you on a journey.....I go, with my foot still tapping. While the anchoring rhythm continues into Track three " No Advice" our minds are taken above it, riding on the waves of that violin once again. I swear at the start of track four I was mentally singing "Woke up this morning" Blues fans will know exactly what I mean? It had such a familiar rhythm and yet it has Amys originality stamped all over it both vocally and musically. Having lost my own brother & sister, track five, "Brother" was a tough listen, but it was a lyrical celebration of siblinghood and had the hallmarks of a beautiful storyteller and songwriter. 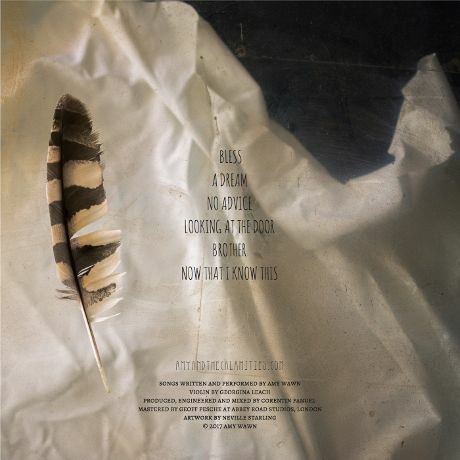 Last track "Now That I Know this" ends with the same superb quality as the EP began. As always, if you like good music, please remember to share?